Ava DuVernay directs this sci-fi adventure adapted from Madeleine L'Engle's novel. 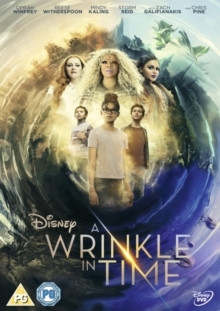 Following the disappearance of her father, astrophysicist Dr. Murry (Chris Pine), Meg (Storm Reid) joins forces with three mysterious beings - Mrs Whatsit (Reese Witherspoon), Mrs Which (Oprah Winfrey) and Mrs Who (Mindy Kaling) - as she embarks on a dangerous rescue mission to try and bring him home. The cast also includes Gugu Mbatha-Raw, Levi Miller and Zach Galifianakis.